You are here: Home › ALL BLOGS › IMO 2019: Ihedioha picks Gerald Irona as running mate in Governorship elections. IMO 2019: Ihedioha picks Gerald Irona as running mate in Governorship elections. 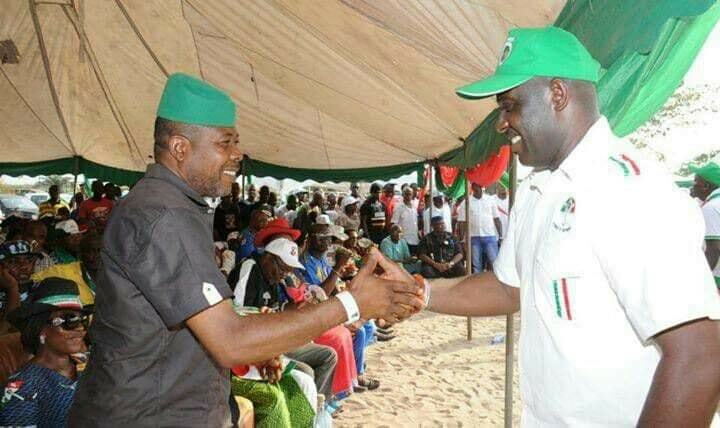 The Peoples Democratic Party (PDP) Governorship candidate of Imo state, Rt. Hon. Emeka Ihedioha CON, has named Hon. Gerald Irona as his running mate for the 2019 gubernatorial election. His nomination was a product of wide range consultations with relevant stakeholders across the state. Born in August 1st 1966, Hon Irona, an Engineer by training, until his nomination is the party’s National Deputy Financial Secretary. He was a member of the House of Representatives between 2011 and 2015 where he served as Deputy Chairman House Committee on Gas Resources and demonstrated high level of legislative competence. His grassroots base became manifest greatly in his early political career when in 1996 and 1997 he was elected a two-term councilor of Oguta Ward A.
Hon. Irona obtained Postgraduate Diploma in Management from Imo state University. He has Higher National Diploma and Ordinary National Diploma in Chemical Engineering obtained from the Institute of Management and Technology Enugu and College of Technology now Federal Polytechnic Nekede, Owerri respectively. Hon. Irona has Oxford University postgraduate certificate in Leadership; Raleigh University, North Carolina, United States Postgraduate Certificate in Budgeting and Budget Control. He attended Priscilla Memorial Secondary School, Oguta, between 1980 and 1985 where he was the Senior Prefect of the school.